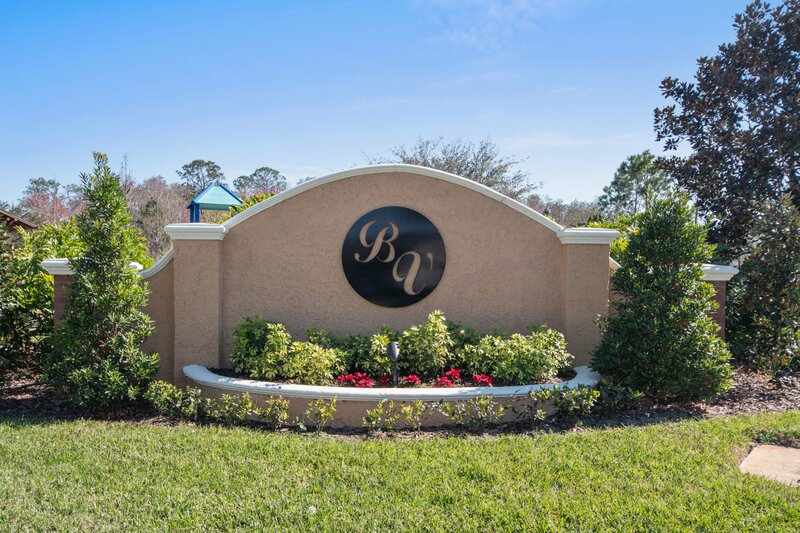 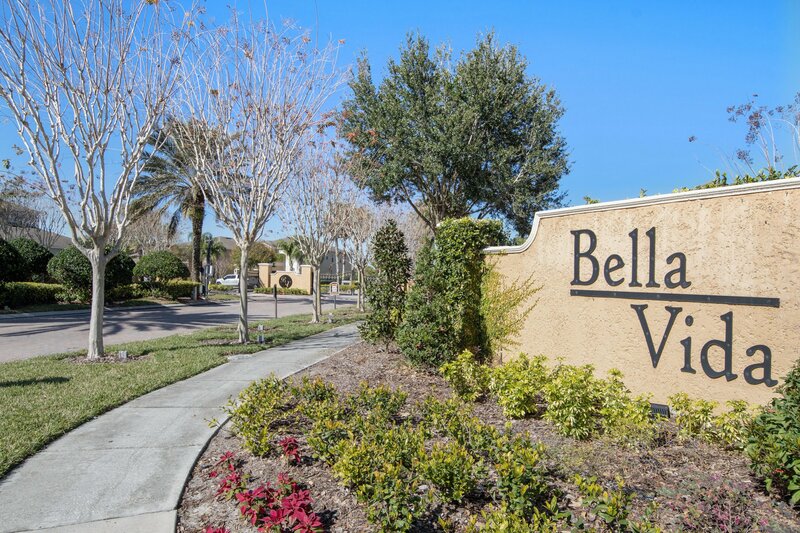 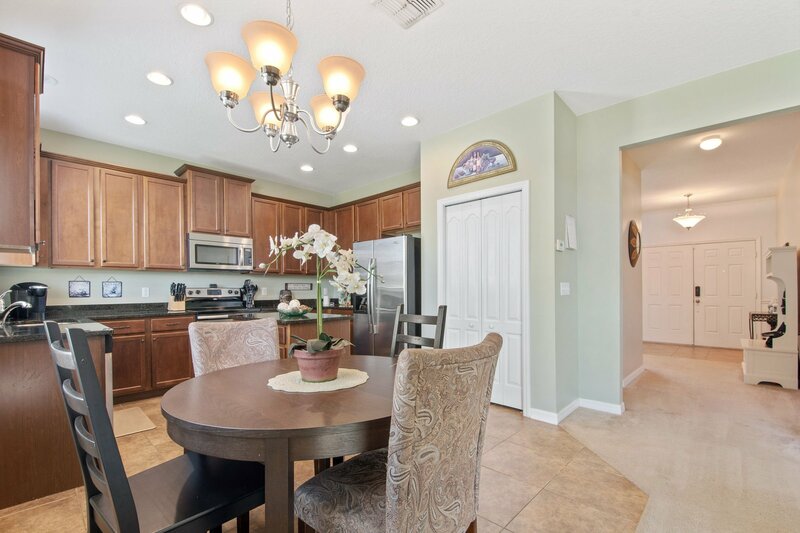 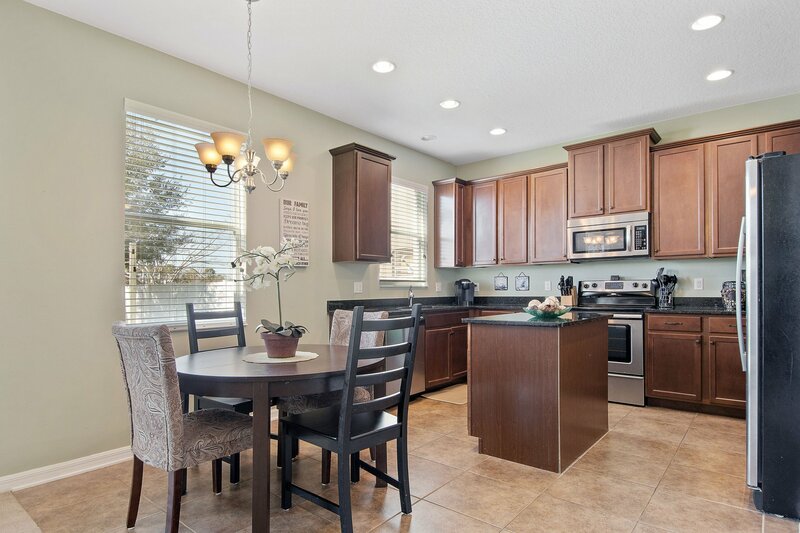 Located within the gates of desirable Bella Vida, this beautiful move-in ready home is ready to welcome a new family! 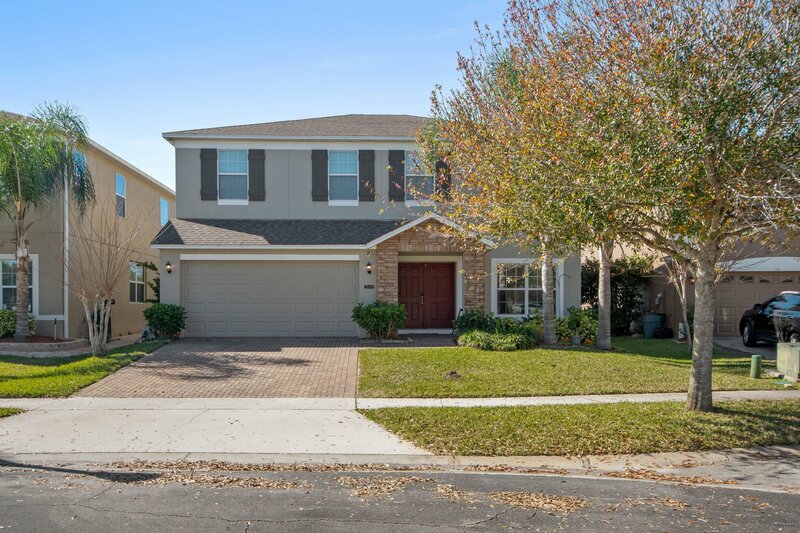 Stone accents, mature landscaping, and a paver driveway greet you upon approach. 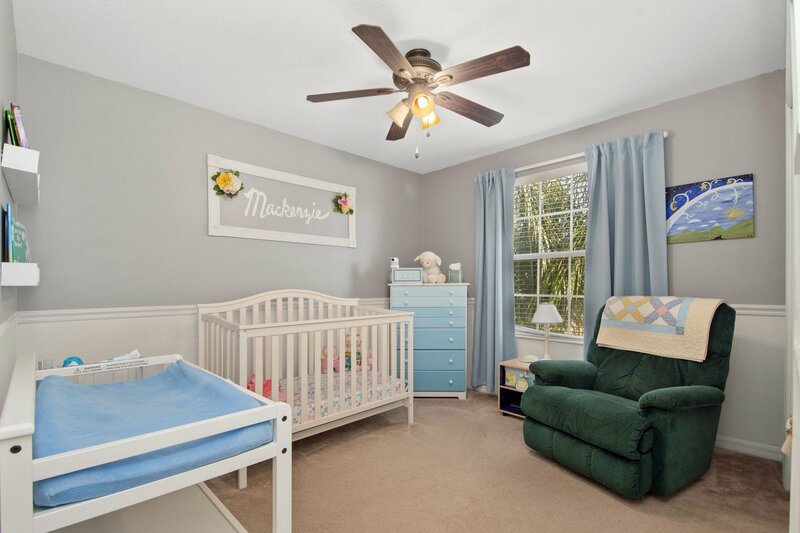 Once inside, you are welcomed with tons of natural light flooding the home through large windows and neutral paint and flooring. 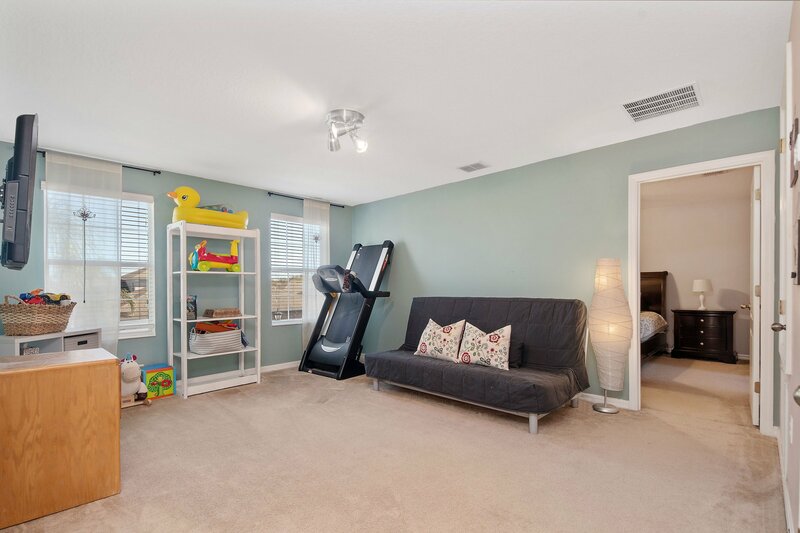 Down the hallway, past the stairwell, the home opens to a spacious combination family room and kitchen – perfect for entertaining! 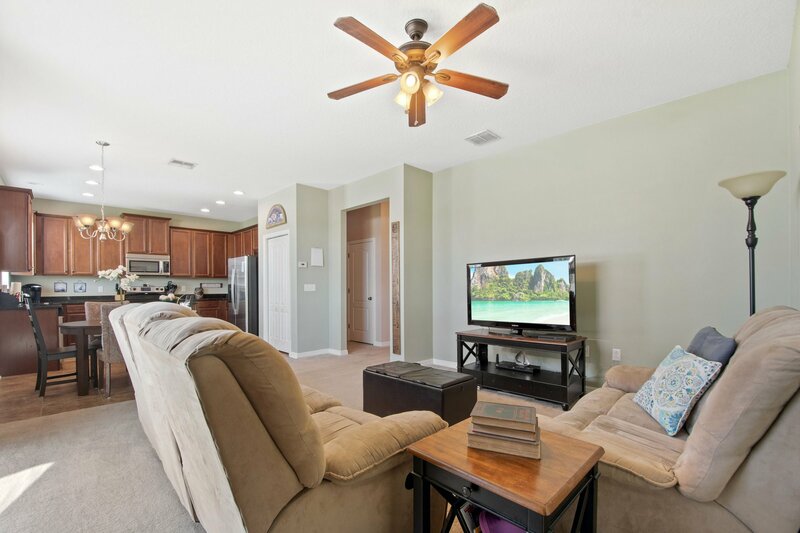 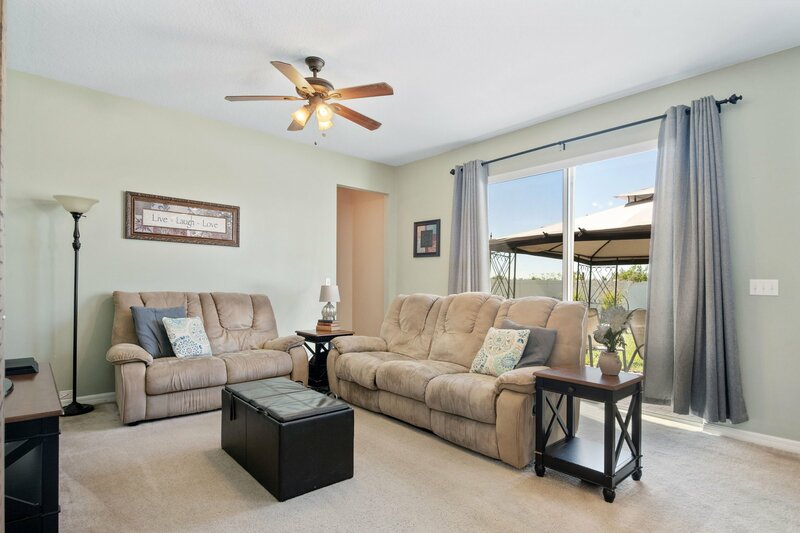 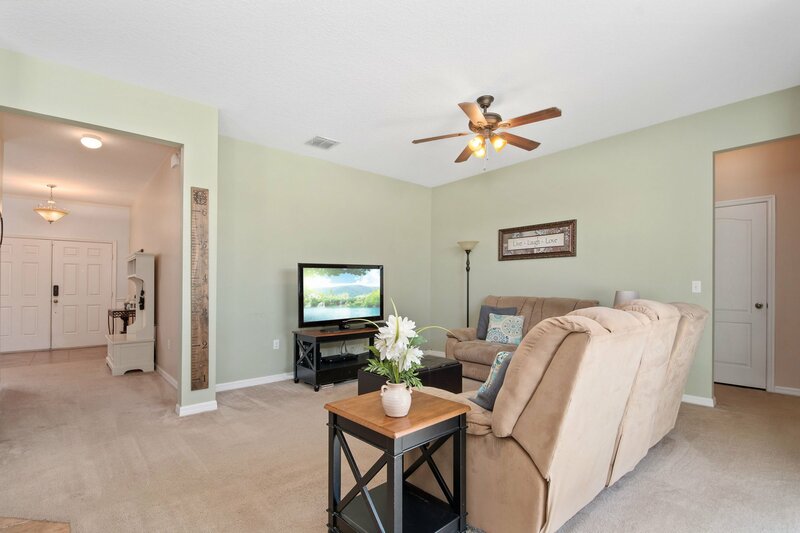 The family room offers sliding door access to an open patio, giving you a great indoor/outdoor living area. 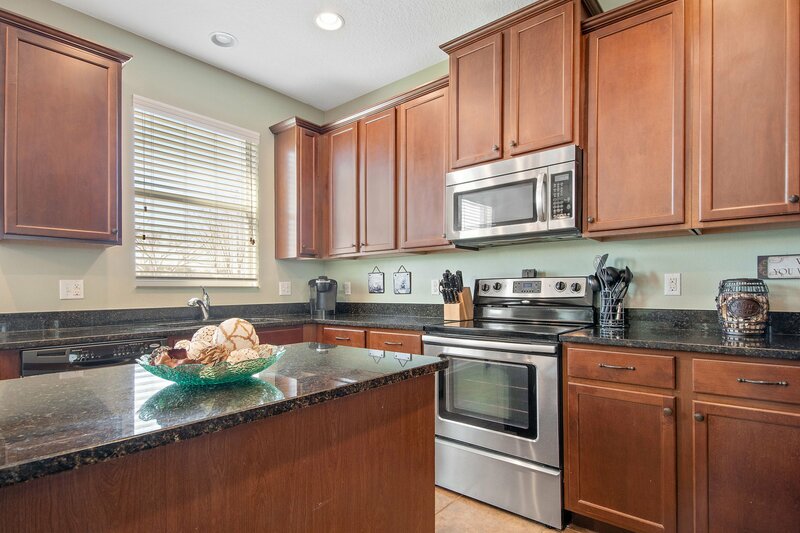 The kitchen is complete with granite countertops, 42-inch cabinetry with decorative molding, stainless appliances, an island, and dinette. 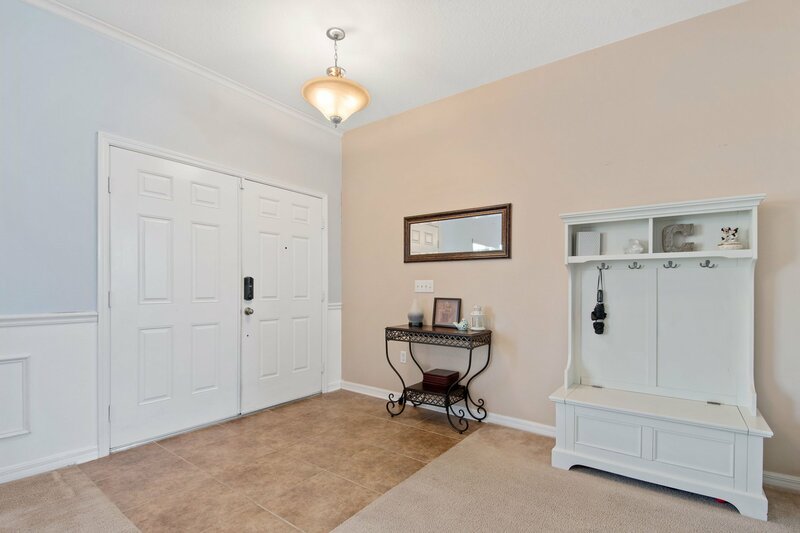 Down a hallway off the family room is a half bathroom, the laundry room, and access to the two-car garage. 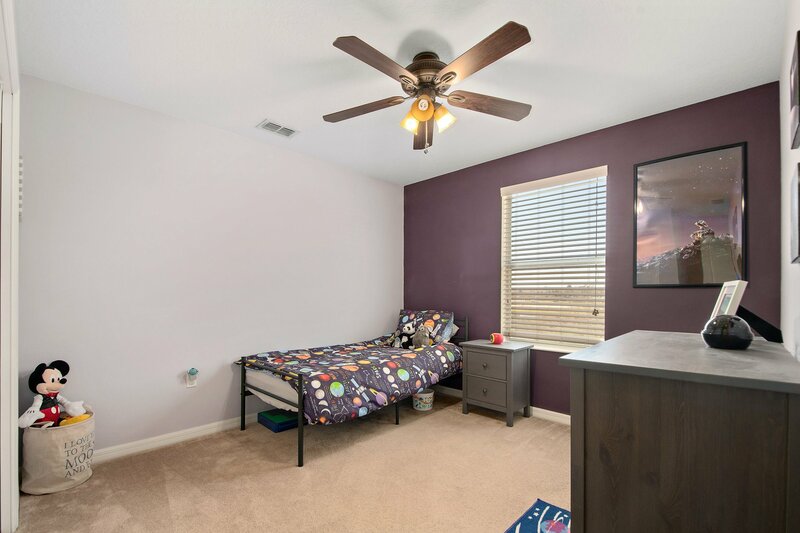 At the top of the stairs is a large bonus room, surrounded by the master suite, three secondary bedrooms, and a full bathroom. 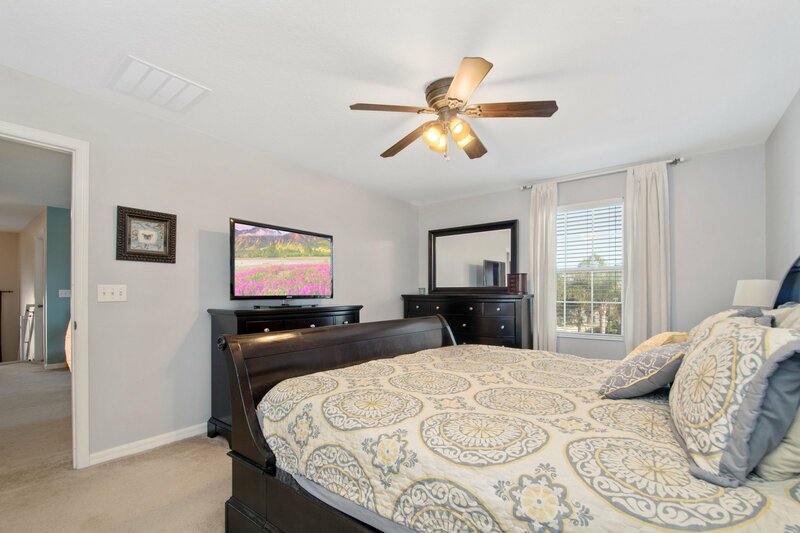 The master suite is large with front-facing windows and his-and-hers closets. 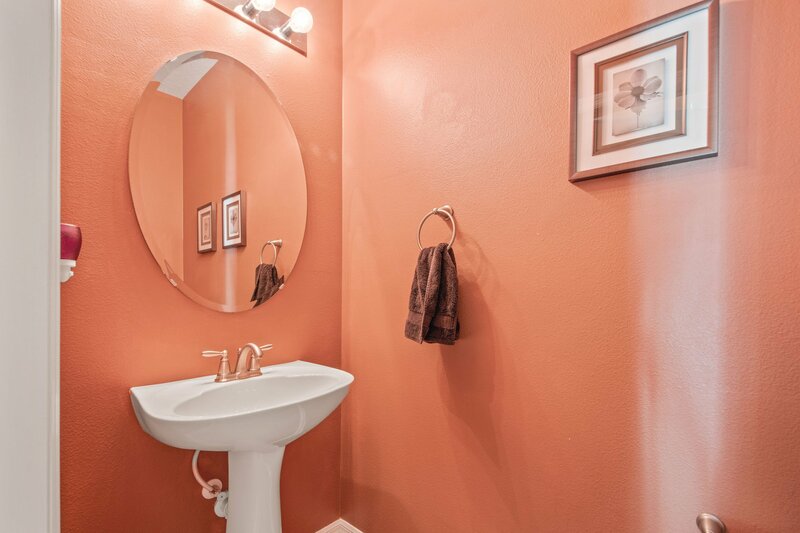 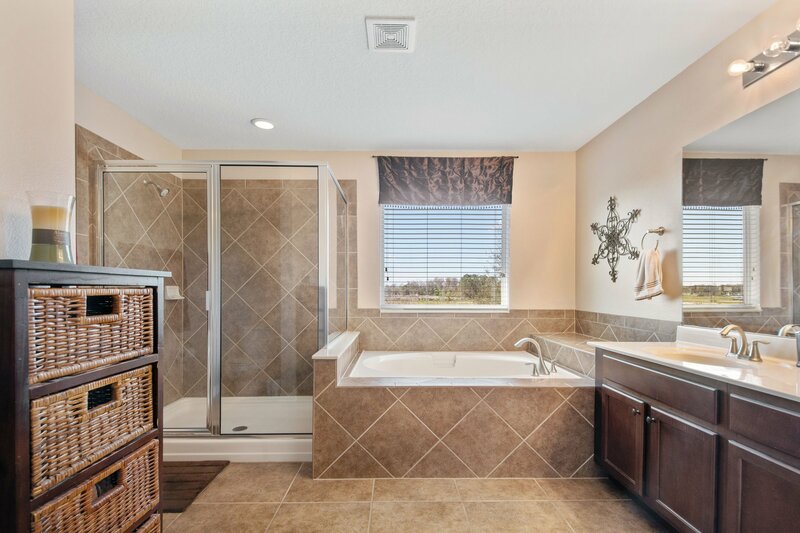 The en-suite bathroom is complete with double sinks, large, tile shower, and garden tub. 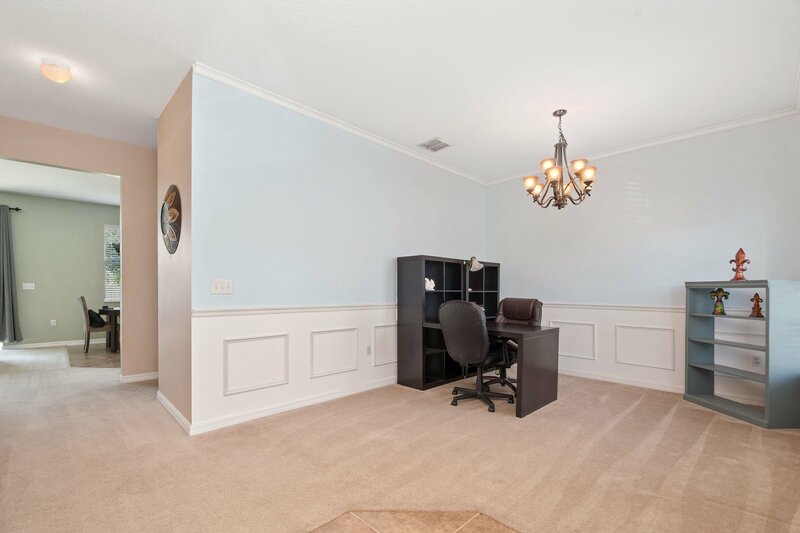 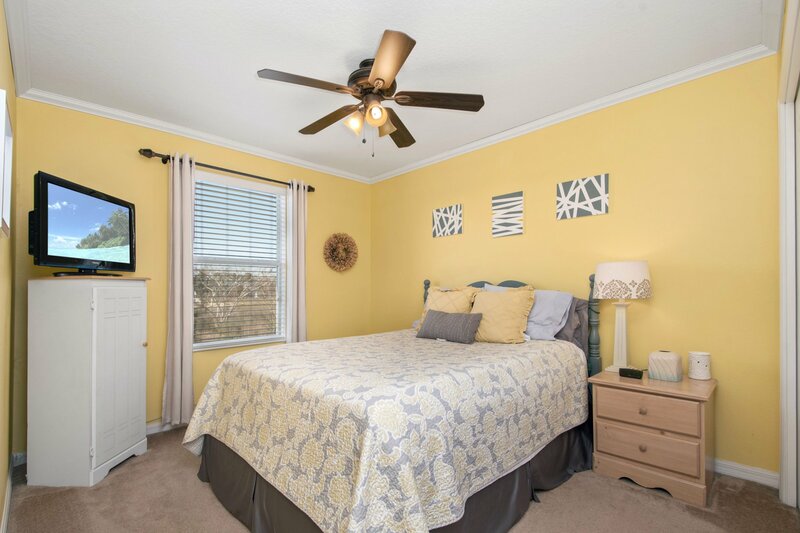 All three secondary bedrooms are good size with large closets & ceiling fans. 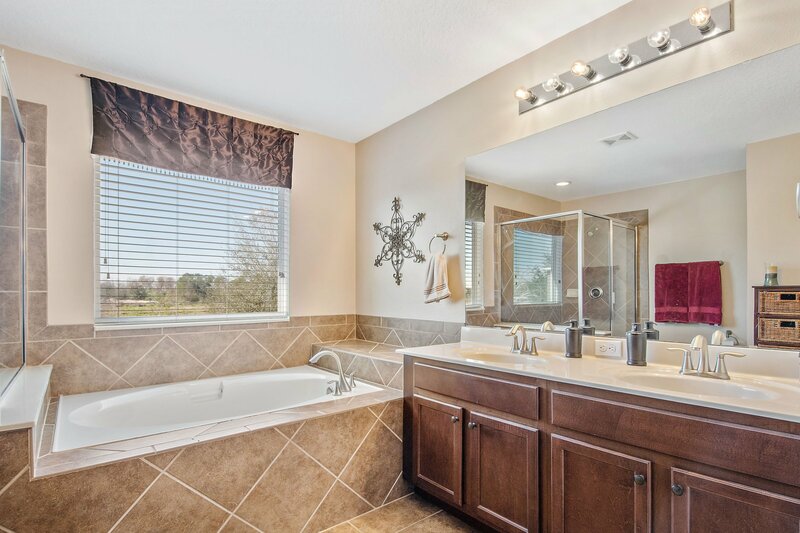 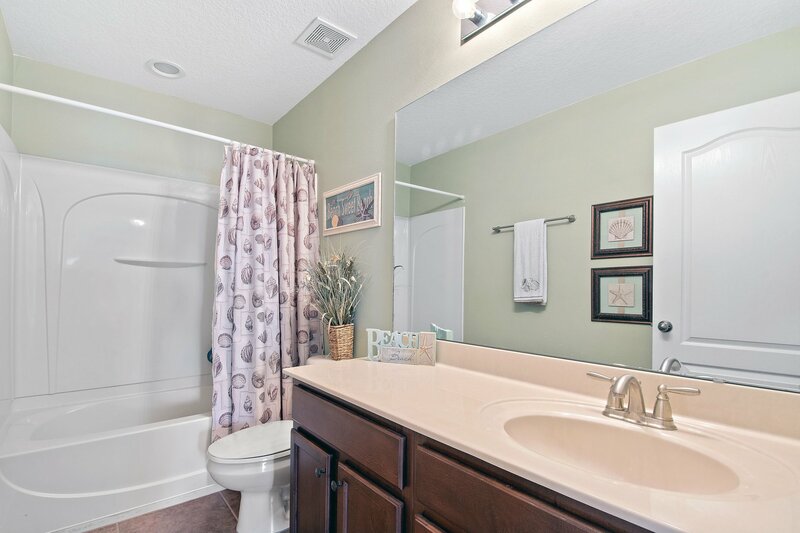 The secondary bathroom is complete with oversized vanity with storage and a shower/tub combo. 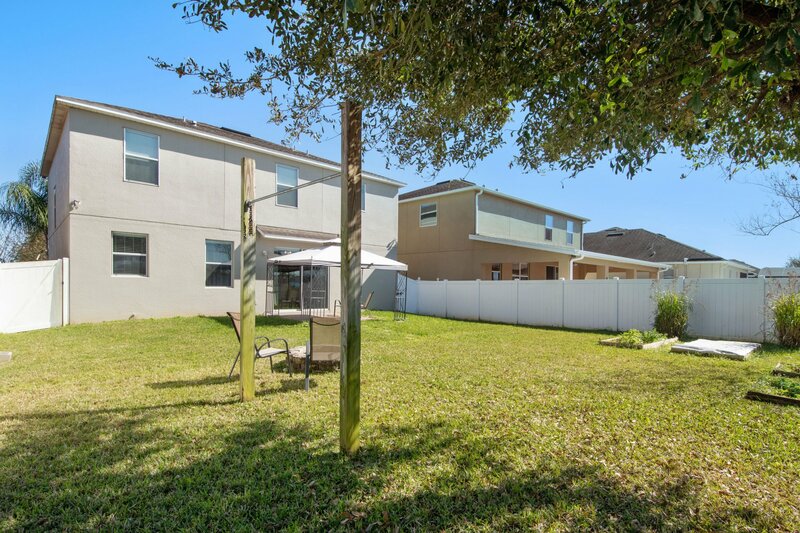 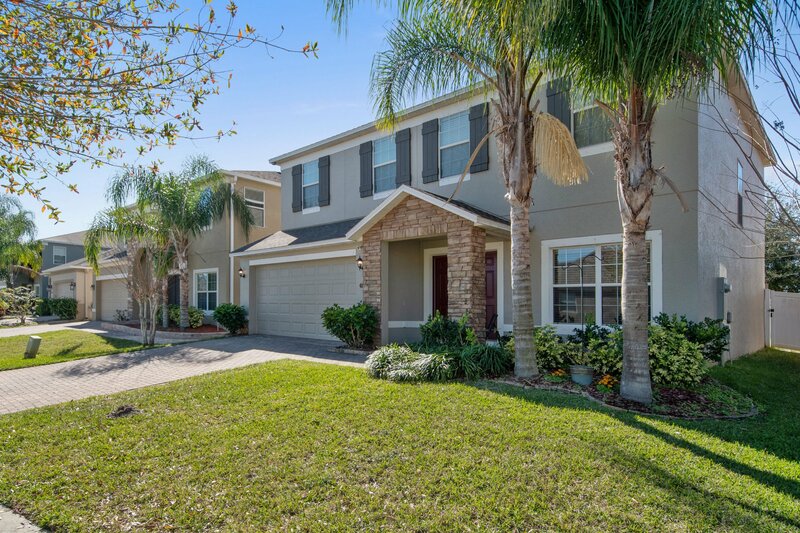 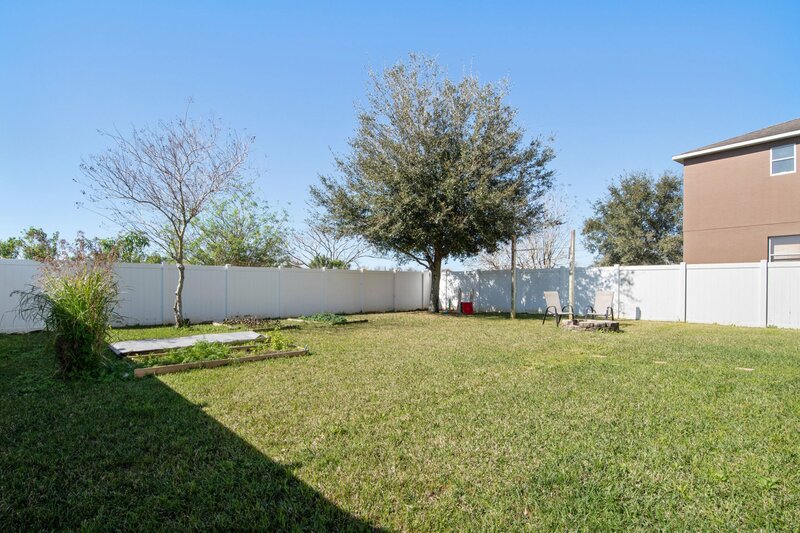 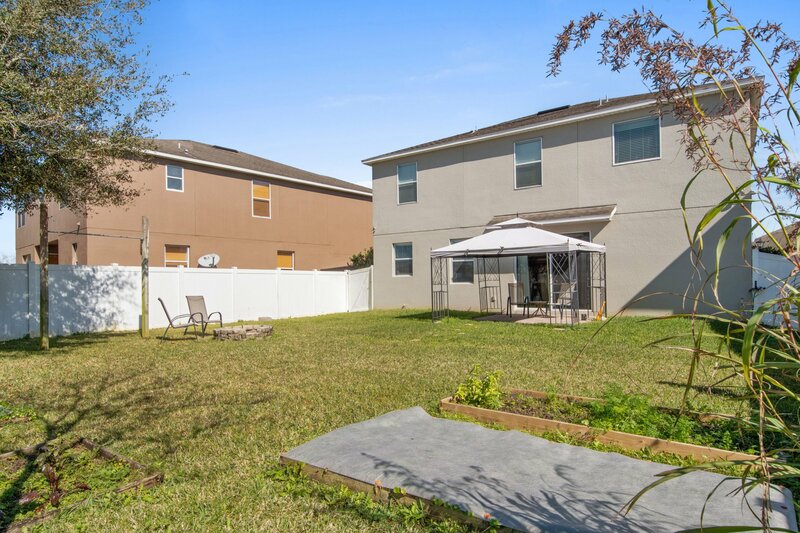 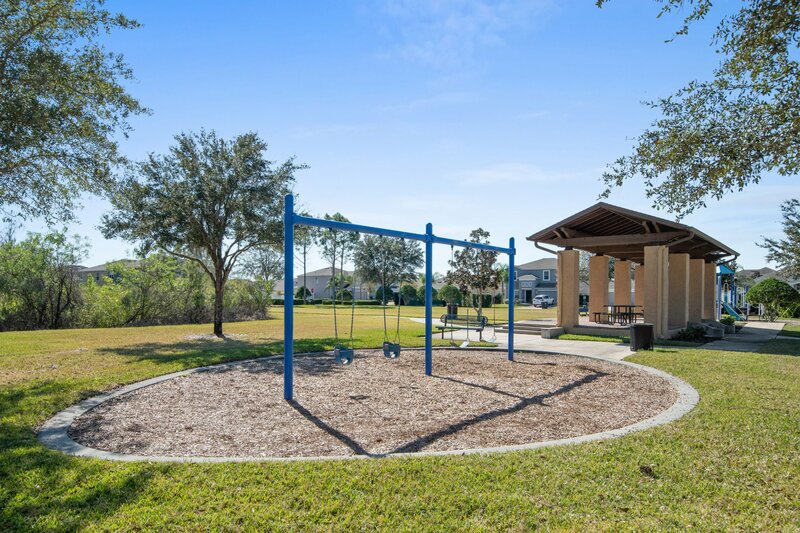 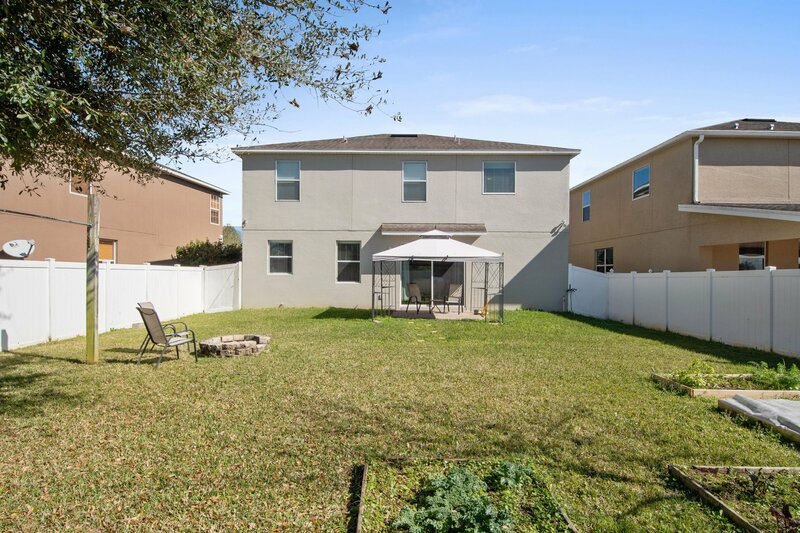 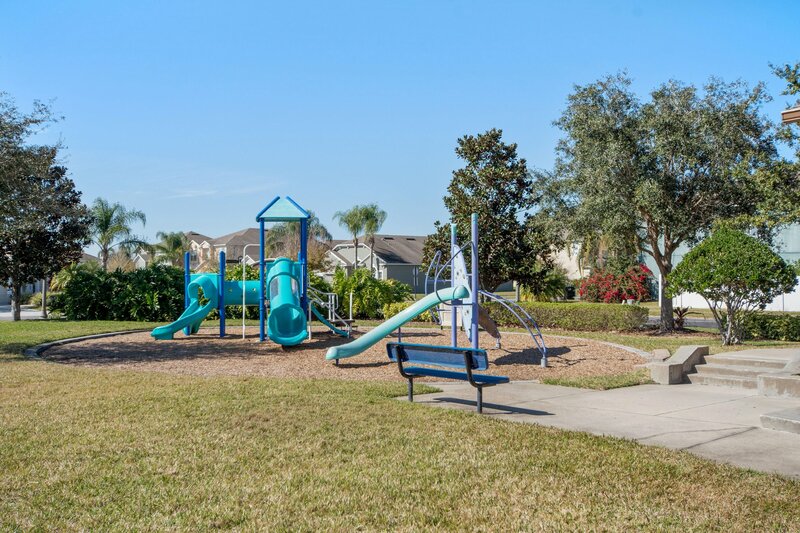 Out back, a fully-fenced yard provides the perfect place for enjoying the weekends and letting your little ones and/or pets run around without worry! 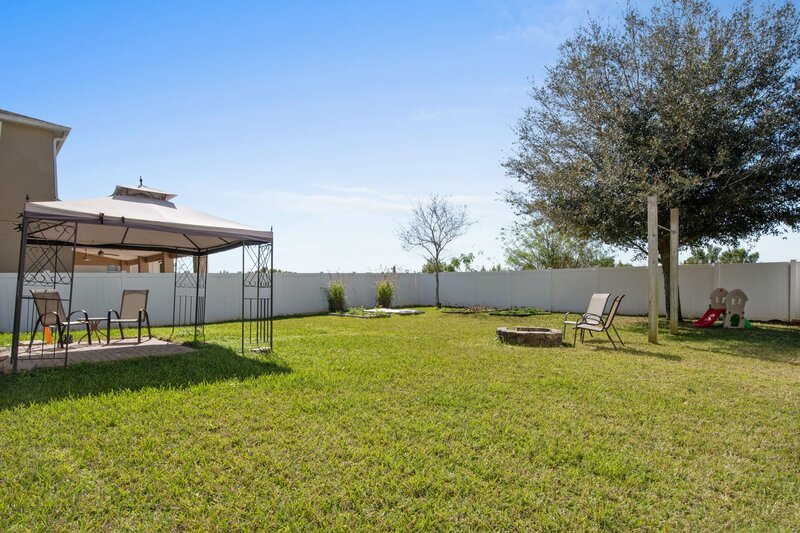 Herb and vegetable gardens allow gardening and the firepit is perfect for unwinding after a long day.